… on this Merry Christmas Day! That’s going to be beautiful, I love scrappy quilts! Merry Christmas! Are you using a special foot to sew the curves? My quilting group is making this patter as a charity quilt. We are having trouble with the block ‘bulging’ in the centre when we sew the last step to complete the block. Do you have any suggestions as to why this is happening? 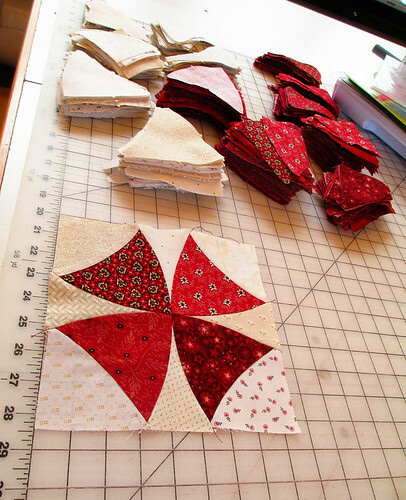 Are you using templates or are you using the Accuquilt to cut your pieces? If all your test blocks are turning out this way, I would question the cutting….